For gamers, E3 might as well be held in December with how much it feels like Christmas. Each summer, fans of all walks, genres, and platforms eagerly await news on their favorite franchises, hoping to catch any bit of info they can on upcoming content. Earlier today, we teased out a couple of awesome additional experiences that Halo fans can expect to get their Mjolnir’d mitts on later this year. Halo Wars 2: Awakening the Nightmare is a brand-new full expansion coming to Halo Wars 2, featuring a new campaign, two new multiplayer leaders, two new multiplayer maps, and Terminus Firefight – a unique new cooperative mode where players build both bases and armies to defend and survive against an onslaught of enemy forces. Halo Wars 2: Awakening the Nightmare will be available this fall for $19.99 USD exclusively on Xbox One and Windows 10 PC. Expanding on the epic story from the main game, Halo Wars 2: Awakening the Nightmare lets players battle through a brand-new series of campaign missions from the perspective of the Banished and experience their desperate struggle against a terrifying and ancient enemy – the Flood. 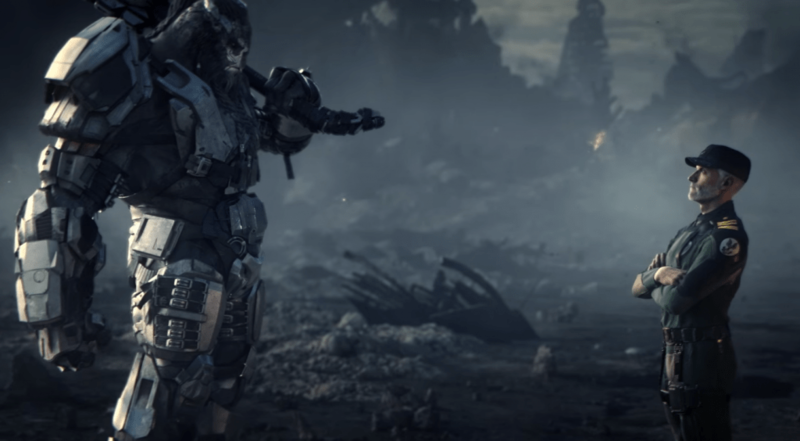 Bookending the Halo Wars 2: Awakening the Nightmare campaign will be gorgeous new cinematics by our friends and partners at Blur Studio, bringing the adventure to life in incredible detail. In addition to the Banished campaign, Halo Wars 2: Awakening the Nightmare introduces a brand new cooperative experience to the Firefight family. In Terminus Firefight, up to three players amass armies to defend both their bases, and their Forerunner terminus node against an ever-increasing and intensifying hoard of attacking enemies. Even with all that this brand-new expansion offers, the Halo Wars 2 experience isn’t done yet. Playable on the show floor at E3 will be Halo Wars 2’s next playable Leaders, Spartan-II leader of Red Team, Jerome-092 and Arbiter Ripa ‘Moramee – prime antagonist of the original Halo Wars, back (but still dead) with a Banished twist. Both Jerome-092 and Arbiter Ripa ‘Moramee will be available later in June, and are included as part of the Halo Wars 2 Season Pass or available for individual purchase. In addition, the Halo Wars 2 Season pass will have two Leaders still to come, plus an additional two campaign missions that we’ll be talking more about very soon, so stay tuned!